İbrahim Tatlıses got Married! | Do You Know Turkey | Turkish Tv Series & Drama, Turkish celebrities, travel information about Turkey and Turkish cusine. 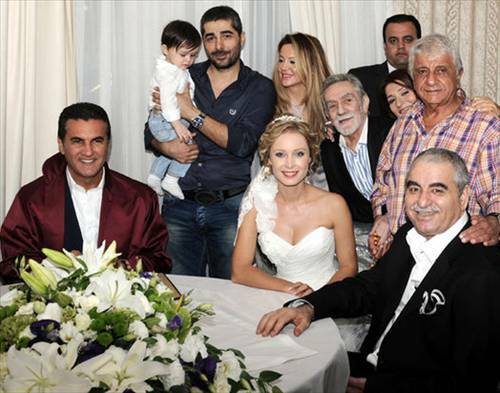 Home Celebrities İbrahim Tatlıses got Married! İbrahim Tatlıses(59), the famous singer of Turkey, married with Ayşegül Yıldız(30). This news was surprising because after the terrible gunshot assault to İbrahim Tatlıses, his fans were curious about his health situation. He was receiving rehabilitation treatment for 3 months. İbrahim Tatlıses, is still a very popular singer among Turkey and Middle East. From the early period of his career his popularity has a great influence of women. He had relationships with Turkey’s famous female actresses, singers and dancers like Deray Tuna, Hülya Avşar, Perihan Savaş, Asena, Demet Akalın and others. Besides, he never got married with those lovers, even though he had kids from them, which are now teenagers. It has been told that his relationship with his beloved wife was about 12 years. After the terrible gunshıt attack to him, he told his friends that he decided to get married because he was tired of lying to women who is special for him. His ex-lovers got very angry for this marriage. However he is very happy for this decision. İbrahim Tatlıses is still receiving rehabilitation but yesterday he went out for having some Çiğ Köfte. İbrahim tatlıses and his newly married wife went to restaurant which belongs to İbrahim Tatlıses -and the place opened just before the attack-. Tatlıses couple seemed very happy. i’m so impressed by his wonderful personality and by his moving songs….